In her role as junior legal assistant and administrative assistant at Woodward and Company, Samantha is motivated by the goal of strengthening healthy nation-to-nation relationships, increasing self-governance of First Nation communities, and ensuring that First Nations rights and title to land are respected. 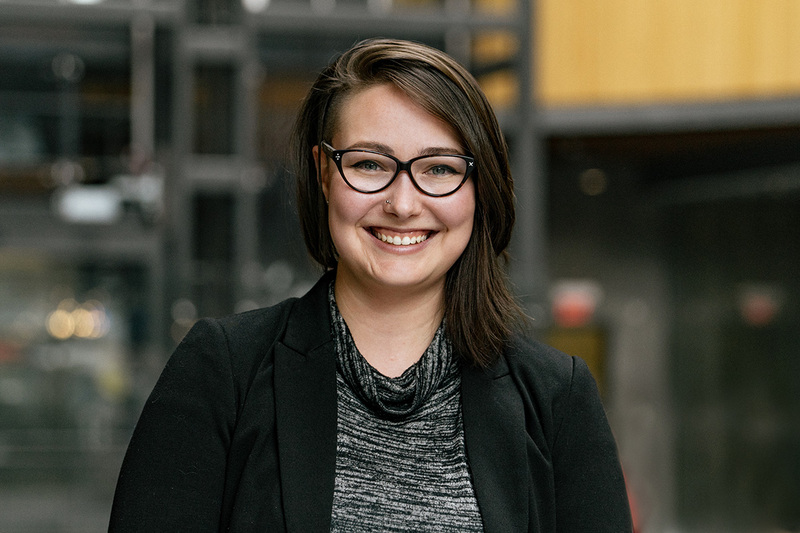 Before coming to Woodward and Company in August 2018, Samantha graduated from UVic with a bachelor’s in environmental studies and anthropology, with specific interest in environmental racism and ethnoecology. Following this, she completed her legal office assistant certificate from Camosun College. In her current role, Samantha is determined that her work acts as a platform to give voices to those who have been systematically marginalized and oppressed by nation states. While her professional efforts are focused on First Nations, she also volunteers and spends time with the LGBTQ+ and disability communities in her spare time; both of which she is a part. Whether it’s deepening her knowledge about cultural diversity or delving into philosophy, Samantha’s constant readiness to learn and be challenged is an asset to both the firm and its clients.